Gary Collins Is A Wanted Man. And Not In The Good Way. Authorities in Mississippi have issued an arrest warrant for TV personality Gary Collins, in the wake of his alcohol related accident in early November. According to reports, Collins missed a court date related to his 2007 DUI arrest, so the judge issued a $100,000 arrest warrant. Prosecutors are now said to be requesting the revocation of his probation. Ironically, had Collins shown up in court on November 4 for his progress report, the L.A. judge would have terminated his probation. Collins is a 2-time DUI offender. As for his most recent run-in with the law, one of the passengers in the car he allegedly hit in Mississippi says he smelled alcohol on Collins’ breath, however, cops only charged him with hit and run. That case is pending. Rick Schmidt, Supervisor for the Van Nuys Branch of the City Attorney’s Office, tells TMZ his office will now seek to revoke Collins’ probation in the 2007 DUI … which could land him in jail. Gary Collins has been arrested for driving under the influence four times; the first in 2002, then 2007, and most recently 2009 – when he was pulled over in a motor home, and blew a .29. As a result of the ’09 arrest, Collins spent 120 days on house arrest. Oct. 25, 2007 – Gary Collins Arrested For DUI. 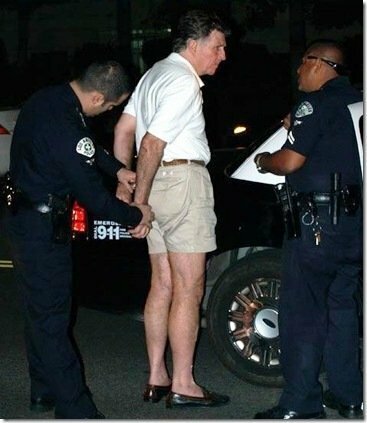 Nov. 3, 2010 – Gary Collins Arrested For DUI. Again. 50 queries in 3.523 seconds.